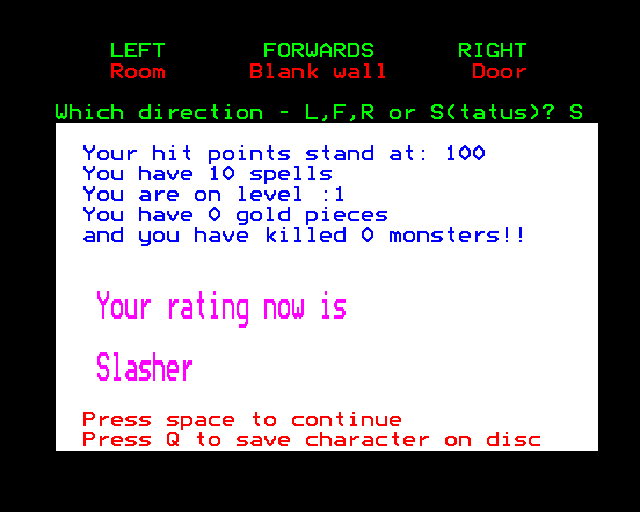 This game is the improved modification of the 1983 original BBC Micro release. The BBC micro game is a conversion of "Cells And Serpents", written for the NASCOM computer by G. Lovell, first published in the December 1980 issue of Computing Today magazine. The original, commercial BBC micro release by ASP software was in early 1983. A functionally identical, but much better annotated listing was published in the May/June 1983 issue of A&B Computing (volume 1, issue 1) which credits I.G. Nicholls with the translation. Later, a slightly different listing was published both on the 8BS Public Domain disc 05 in September 1990, and BBC PD Disc 10. An improved version of this listing was published on both BBC PD Disc 166 (which featured Mad Rabbit PD Disc 024) and 8BS Public Domain disc 08 in January 1991 which credits the improvements to Roger Pashby in October 1990.